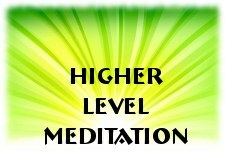 Discover How Christian Meditation Can Help You Achieve a Higher Level of Thinking and Living! every believer can choose to practice. How Does the World Make You Think and Feel? Think for a moment about the daily choices we make and how they change our thoughts and feelings. Do you watch the news? Do you watch movies? Do you listen to music? Do you read the paper? Do you browse online social media sites and forums? Do you have conversations with co-workers, family, and friends? Of course you do, and it is no secret that what we see and hear changes the way we think and feel! The trouble with regular interactions, in our everyday routine, is that it tends to be overwhelming, stressful and discouraging. Most of the news, shows, music, movies, websites, and people we talk to bombard us with tragedies, loss, hardships, etcetera. This in turn leaves us in fear mode. For this reason, many people find themselves searching for something to bring peace in the midst of chaos. God commands us to meditate day and night, because it will draw us closer to Him and benefit our lives. Just as with His other laws, He does not force us to obey. Instead we get to choose. So, will meditation on God’s Word change the way we think and feel? Absolutely, YES! Those who choose to meditate soon find out it changes the way they think and feel for the better! God instructs us to meditate on His Word so that our heart will be filled with His power. If a person, with purpose and intent, will meditate on God and His ways, they will achieve a higher level of thinking and living, including joy and peace. No matter what happens around us we can meditate on God’s Word to draw strength, life and victory. Believe me: Once you start to practice Christian meditation daily, the way you think and feel about yourself, and your life will take on a brighter outlook. The life transforming power of God’s Word changes lives! Do you, as a Christian believer, purpose to achieve a higher level of thinking and living by meditating on the Word of God daily?